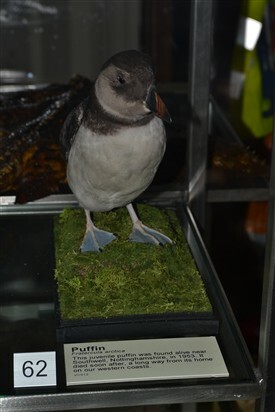 Sadly, although Mr. Brister did take him home, Tussy did not eat, sand eels the food of puffins being rather rare in the county and so consequently it soon died. His body presented it to the Natural History Museum at Wollaton. He was stuffed by their taxidermist, Leonard Wilde and it had remained in the collection ever since. This page was added by R B Parish on 13/11/2013. Is Tussy really still around after all these years? I remember him well!